It’s not uncommon for South Carolina residents to deal with tropical storms and hurricanes this time of year. 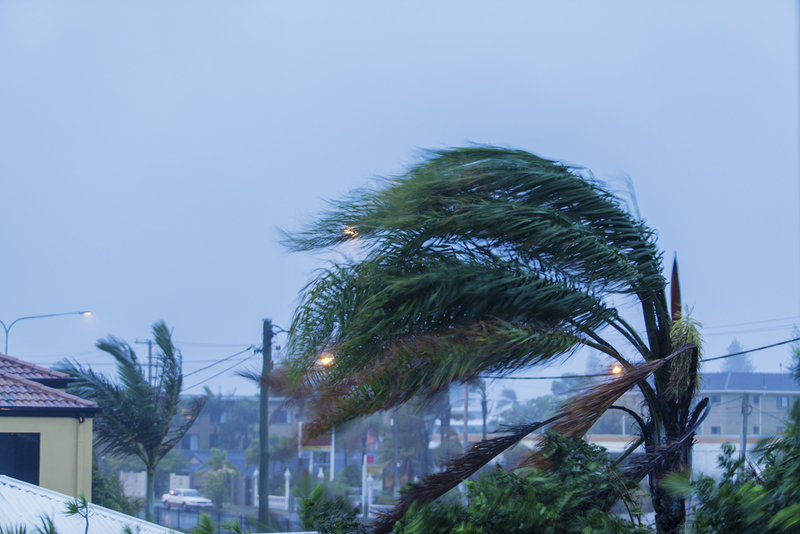 The high winds and heavy rain can cause significant roof damage, leading to further problems without prompt attention from a competent roof repair expert. Inspect your exterior thoroughly after severe weather and call for service if you see any of the following signs. If you find shingles in the yard, your roof likely has patches of missing cover. Even if you don’t see this debris, scan the edge of the roof from below for warped, broken or missing shingles. Quickly replacing missing shingles will keep the roof from leaking. I f you can do so safely, climb a ladder and look inside the gutters. See any small, black granules? These indicate deterioration of the roof. Call a professional roofer for a more thorough inspection and an accurate diagnosis. Just because you don’t spot a tree or big branch on the roof doesn’t mean there isn’t damage. Tree limbs and other yard debris blow around wildly in hurricanes, often bouncing off roofs before landing on the ground. If you have broken or uprooted trees or find displaced lawn furniture scattered about, call a roofer to make sure they didn’t damage your shingles and eaves on their descent. Need help repairing storm damage? Delta Roofing of Hilton Head Island, SC, has more than 15 years of experience providing high-quality roof repairs and more to property owners in the area. They will send a certified technician to your home to perform a thorough inspection and advise you on the best course of action. To learn more about their services, call (843) 489-8555 today.